In June, for the first time, Sir David Attenborough’s video endorsing World Land Trust (WLT) was not the most watched video on WLT’s YouTube site. Month in, month out, Sir David’s video is consistently the most popular on the site. 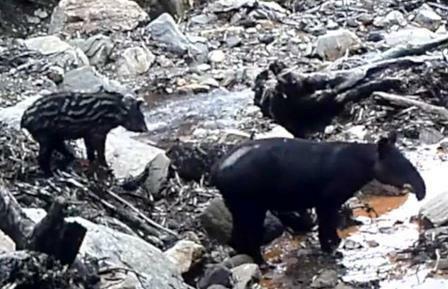 That was until June, when he was toppled from the top spot by footage of a Syrian Brown Bear filmed on a remote camera by WLT’s conservation partner in Armenia. Often referred to ‘as the most trusted person in the UK’ WLT is proud to have Sir David among its patrons. We are also very pleased to report that Sir David has made an excellent recovery from recent heart surgery and that he is about to embark on a speaking tour of Australia that had been postponed due to concerns about his health. We know that many people donate to World Land Trust because they have searched the internet for ‘Sir David Attenborough’s charity’ and WLT comes top of the list. So it’s been no surprise that Sir David’s video has been the most watched on WLT’s YouTube site, with more than 23,000 views since it was uploaded 18 months ago. On the other hand, the short video of the Syrian Brown Bear is so endearing that we aren’t sorry that in June it trumped Sir David with almost twice the number of views. More importantly, we don’t think Sir David minds in the least. And the race is on to see which video has the most views this month! In Armenia WLT works with conservation group Foundation for Preservation of Wildlife and Cultural Assets (FPWC). With WLT’s support FPWC has created the Caucasus Wildlife Refuge, primarily to protect the critically endangered Caucasian Leopard and the Bezoar Goat (wild ibex). 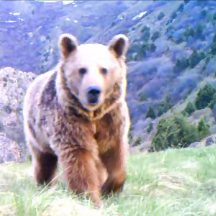 There are as few as 150 Syrian Brown Bears surviving in Armenia and we were thrilled recently to receive from FPWC camera-trap footage of a bear in the Caucasus Wildlife Refuge. 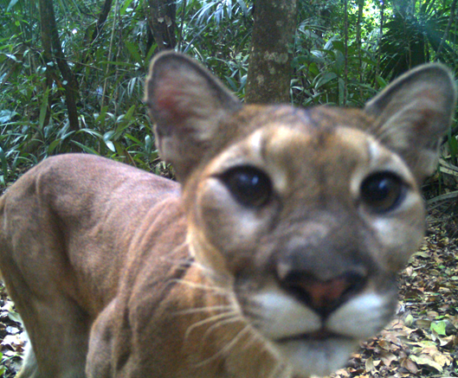 At World Land Trust we are great fans of camera-traps. They cause no disturbance to wildlife and, as the Syrian Brown Bear footage highlights, they are essential for monitoring wildlife and informing conservation strategies. We sincerely hope that those watching the wildlife videos on WLT’s YouTube site will be inspired to take action to make sure wild creatures, whether they be humble or magnificent, remain safe in the wild. For the fourth year running World Land Trust is sponsoring the BBC Wildlife Magazine Camera-trap Photo of the Year in 2013 in association with WLT corporate supporter Enterprise Plants. The competition is open for entries until the end of July 2013. WLT posts regular news stories, updates and videos on our website, YouTube site and Facebook page. We are hugely grateful to our patrons, Sir David Attenborough, David Gower and Chris Packham who help us promote our work and reach more people through their public profiles and reputations. We are also grateful to our all our ambassadors and supporters who use their own social networks to spread the word about WLT.